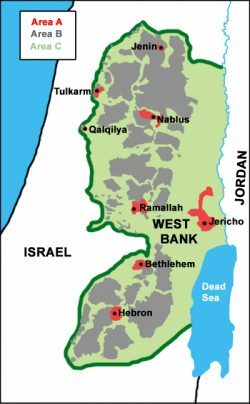 The real dispute between Israel and the Palestinians, as well as within Israel itself, no longer revolves around the end of the “occupation” but around the future of eastern Jerusalem and Area C of Judea and Samaria. That’s because in January 1996, Israel vacated the West Bank’s heavily-populated areas (the Oslo Accords’ Areas A and B) and gave control to the Palestinian Authority. Ninety percent of Palestinians in the West Bank now live under PA control in Areas A and B. This effectuated Prime Minister Yitzhak Rabin’s vision of ending Israel’s control of Palestinian daily life without creating a full-fledged Palestinian state. (Contrary to popular perception, Oslo did not commit Israel to full-fledged Palestinian statehood. Rabin was unalterably opposed to full-fledged Palestinian statehood). Alas, over the past 20 plus years, Israel has failed to effectively administer Area C, as is its responsibility under the Oslo Accords until the status of the area is determined in direct negotiations between the conflicting parties. Instead, Israeli authorities have mostly stood limply by as the PA moves aggressively to assert its dominance in critical C zones – with the support of foreign actors (mainly European) hostile to Israel’s present or future administration of these areas. In a sharp just-published study, Major General (res.) Gershon Hacohen of the BESA Center bemoans this situation, warning that losing control of Area C is dangerous. Retention by Israel of most of Area C is a vital, long-term Israeli national interest, he argues with professional and ideological passion. Hacohen explains that Area C includes all Jewish localities in Judea and Samaria, plus IDF bases, transportation arteries, vital topographic sites, and habitable empty spaces between the Jordan Valley and Jerusalem metropolis. 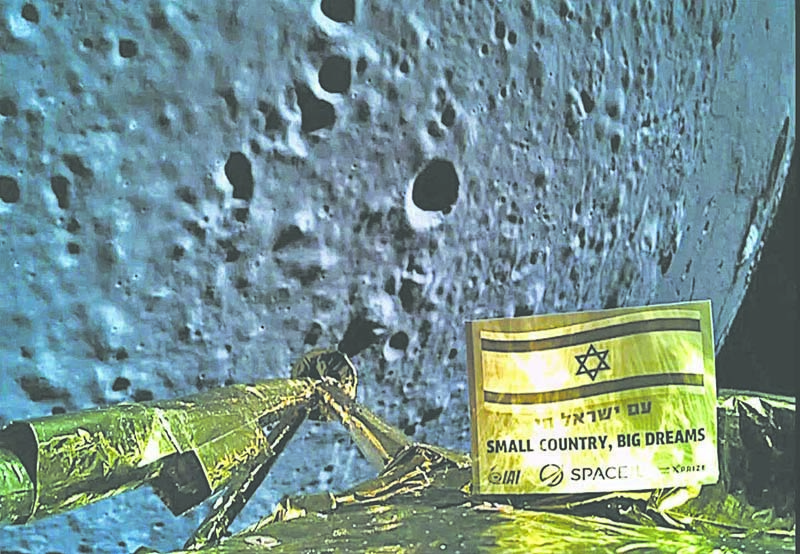 These highly strategic and sparsely-populated lands are of immense economic, communal, ecological and cultural importance, not to mention their historical significance as the bedrock of the age-old Jewish ancestral homeland. Hacohen argues, based on a very detailed military analysis, that the surrender of Area C to a potentially hostile Palestinian state would make the defense of the Israeli hinterland virtually impossible. It will be impossible ensure the demilitarization of such an entity. Attack tunnels and torpedoes would proliferate, Hezbollah-style. He utterly dismisses the notion that Israel could safely withdraw from Area C and easily re-conquer the territory if it became a base of terrorism against Israel – as some generals on the left have argued. This would be a nightmare, not a “cake-walk,” he says. He also calls for massive Israeli home construction across strategic parts of Area C, such as the Jerusalem to Jericho corridor, which anchors Israel’s central East-West access route for the transfer of fighting forces from the coastal plain to the Jordan Valley defensive line. Hacohen further argues that the “friction” generated by the presence of Israeli towns in Judea and Samaria is of great military value to the IDF; it adds to the army’s ability to operate effectively in the territories, not the opposite. The “hybrid” situation in which Israel towns and the IDF co-mingle in Area C with Palestinians is the preferred situation, he writes. Ehud Barak’s concept of a neat division of territory with a fence in the middle – “we’re here and they’re there” – is strategically unsound, concludes Hacohen. WHETHER ONE ACCEPTS Hacohen’s defense and diplomatic conclusions or not, what emerges from his study, incontestably I think, is the need to govern Area C much more broadly and effectively – and fairly. Key Israeli Civil Administration officials make it clear that Israel is failing to do so. The lawlessness that currently pertains in Area C does serious and, in some cases, permanent damage to natural resources, the environment and the quality of life for Israeli and Palestinians on both sides of the Green Line. Moreover, by not tightly controlling Area C Israel is frittering away the strongest bargaining card it has for future negotiations. Real governance would mean preventing hostile, unauthorized, out-of-control Palestinian building in zones critical to Israeli interests such as E-1, the Hebron Hills and the Jordan Valley, and checking the interference of European governments, hostile UN agencies and NGOs in such matters. There is an entire world of European-funded agencies that runs a constant legal battle in Israeli courts against any Israeli attempt to enforce its governance in Area C. Take the endless court battles regarding Khan al-Ahmar as an example. These NGOs would be making a better investment in peace by focusing on democratic governance, the rule of law and human rights in the Palestinian Authority itself, in Areas A and B; where, alas, only the most autocratic and corrupt rule applies. Broad and effective rule by Israel also means developing the rotten road infrastructure and rigorously policing the wild-west roads of Area C; a core matter that affects the quality of life of both Israelis and Palestinians. At the same time, fair governance means allowing for Palestinian civil and municipal development in an organized fashion in parts of Area C that do not threaten Israeli interests – such as approval of the Kalkilyah extension plan. (Unfortunately, the plan was torpedoed by the Netanyahu government last year). In short, we need governance with direction and purpose, meaning that Israel must administer Area C effectively and with much more authority, whether it wishes to either hold the territory as an effective card for future bargaining or it intends to annex the lands to Israel. IT IS OFTEN ALLEGED that Israeli settlement in Judea and Samaria is “gobbling-up” Palestinian lands in Area C. This is nonsense, as a straightforward encounter with basic facts makes clear. Most of Area C is breathtakingly empty: The Judean desert, the northern Samarian desert, and the Jordan Valley. These precincts are mostly nature reserves, firing zones and grazing grounds, amounting to 2 million of the 3.5 million dunams of land in Area C.
All Jewish and Arab habitation in Area C (both built-up areas and agriculture) cover only about 40% of the land mass. That consists of about 200,000 Palestinians in 25 towns and hundreds of unorganized hamlets, with homes sitting on 8% of Area C and agriculture on another 25% of the territory. There are 400,000 Israelis living in Area C, and their settlements sit on 2.5% of Area C, with plans for expansion to 7%. This means that there is room for both Israeli and Palestinian populations to thrive in Area C, if it is administered with a firm and wise hand. For many years, some Israeli politicians have ignored the necessity of rigorously governing Area C because, they figured, much of the land would soon enough be negotiated away in peace talks with the Palestinians, anyway. The same goes for eastern Jerusalem, which has failed until now to receive enough Israeli investment and resources. But even with a Trump peace initiative at our doorstep, the likelihood of any Israeli-Palestinian accords emerging soon are slim. As a result, Israel will likely have to rule eastern Jerusalem (which it has annexed) and manage Area C (parts of which it may want to annex) for the foreseeable future. It should do so diligently and judiciously.